I have two elder sisters, and they both had arranged marriages. Their happy marriages made me believe in the whole arranged marriage set-up as well. 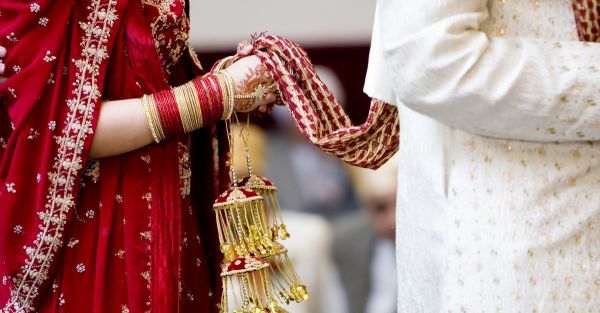 So much, in fact, that I actually started propagating arranged marriages and openly supporting them, until I had to live the reality of meeting strangers as future-husband-prospects myself, at the age of 23. So, I turned twenty three on a cold winter morning, and my dad (who is another firm believer in the institution of arranged marriages) declared that I was ready to start a family of my own with a partner. When I argued with him that I was too young and didn’t even feel prepared for a married life, he pacified me by saying that finding a good boy takes quite a lot of time, and by the time he finds the one, I would be prepared and ready to take the plunge. How bad could meeting a few decent boys possibly be? I thought and gave in to dad. But my idealistic bubble came crumbling down soon after. Here’s what happens. When you agree to an arranged marriage, you are expected to make a profile and submit it to one of the marriage brokers your family hires for the job. (Yes, middle men who “fix” marriages exist, and earn SO much doing this). This profile that you submit doesn’t mention your dreams, your goals, your future plans, all it mentions flaunts is your family assets. In fact, don’t be surprised if you are required to omit your job experience, because it’s not even relevant, ‘coz it’s not like you are gonna work after marriage. Oh you are? Sorry, you can’t. Along with this profile, you have to attach a picture of yourself in a…saree. Yes, apparently, you can’t submit pretty pictures in anything but traditional wear, well because, that’s how it is. Or so your parents will tell you. Also read: Confessions Of A Girl Who Can’t Stay Single When your picture and profile are sent across, the over-excited marriage broker loses no time in match-making and sends a hundred profiles over to your parents. You have to sit through them everyday (no wonder you get prepared to marry someone after this tedious process) and when your parents finally feel that someone meets their expectations - the meeting happens. The way you are trained for this meeting with a bunch of strangers is the most fake thing ever. Your own parents ask you to act coy, to not ask too many questions, to answer all questions the other side asks you with a polite smile, to not refute anything the boy says, to basically be the epitome of the perfect bahu one could ask for. I have been instructed to do all this, and I find it revolting. If my own parents ask of me to accept some stranger as my lord, only because he is considering me for the position of his ‘wife’, isn’t that setting the tone to our possible future married life together? Why can’t I ask him questions? I do have an intelligent bunch of them. Why can’t I look offended when their questions do in fact offend me? Why should I sit there smiling like an idiot, when this boy can’t even engage in a stimulating conversation with me and is only interested in the cuisines I can cook? Also read: Confessions Of A Daughter Who Is About To Get Married And here’s the catch. You can’t reject a boy, ‘coz what sort of a girl rejects boys? What you are allowed, however, is hope to be rejected. But, careful, you don’t wanna be rejected more than two times, because, what sort of a girl gets rejected by others again and again? But, you know what? I have a way out of all this. I may have signed up for an arranged marriage, but I am not going to accept any guy who can’t promise me a love story. Two can play this game. If he can ask questions, he must be ready to answer them. If he’s not “settling” , neither would I. I want a love story, and I will not rest till I make the arranged marriage setup give me one. Say whatever the world may.